At the City of Duncan Council meeting on 21 January 2018, Council passed a Motion directing City of Duncan staff to draft a Controlled Substances Property Bylaw. Since November 2017 there have been two houses in Duncan on which the RCMP has executed search warrants for drug related offences and which have been found to have significant drug related refuse inside the houses and outside on the surrounding property. These houses are: 454 Garden Street, on which a search warrant was executed on November 2017, and a house in the 1000 block of Trunk Road, on which a search warrant was executed on 5 September 2018. At the request of the North Cowichan/Duncan RCMP I am not identifying the address of the house raided on 5 September 2018 in the 1000 block of Trunk Road at this time. Fetanyl, discarded needles and other drug related items were found in both these houses. Current City of Duncan Bylaws do not allow the City of Duncan, or a contractor employed by the City of Duncan, to simply go onto the property to carry out a clean up. Negotiations between the City of Duncan and the owner of 454 Garden Street regarding a cleanup of the property went on for nearly 4 months without any cleanup being done. Finally, on 29 March 2018, four months after the RCMP search warrant was executed on 454 Garden Street in November 2017, the City of Duncan retained a hazardous materials remediation contractor, Lakeside Property Maintenance, to clean up the exterior of 454 Garden Street. I spoke with the owner of Lakeside Property Maintenance who told me that the company had employed a crew of five people wearing full hazardous material protective equipment to carry out the work on the exterior and grounds of 454 Garden Street. Lakeside Property Maintenance removed 5 five gallon pails full of used syringes from 454 Garden Street along with 30-40 cubic yards of other drug related refuse. The $12,000 cost of the clean up has been charged to the property owner through the City of Duncan property taxes on the property. As of 18 September 2018 the City of Duncan has not been reimbursed for the clean up costs. But the important issue here is about public health and safety. A hazardous waste site at 454 Garden Street near downtown Duncan, containing enough discarded used syringes to fill 5 five gallon pails, along with 30-40 cubic yards of other drug related refuse, was left unremediated for four months before the City of Duncan was able to retain a private contractor to clean it up. Current City of Duncan Bylaws did not give the City of Duncan the authority to immediately clean up the site if the owner was unable, reluctant or unwilling to do so. Clearly the City of Duncan needs a new Bylaw, or Bylaws, to allow the City to immediately clean up properties which have become drug related hazardous waste site. Allowing a hazardous waste site, like 454 Garden Street, to go unremediated for four months is simply unacceptable. 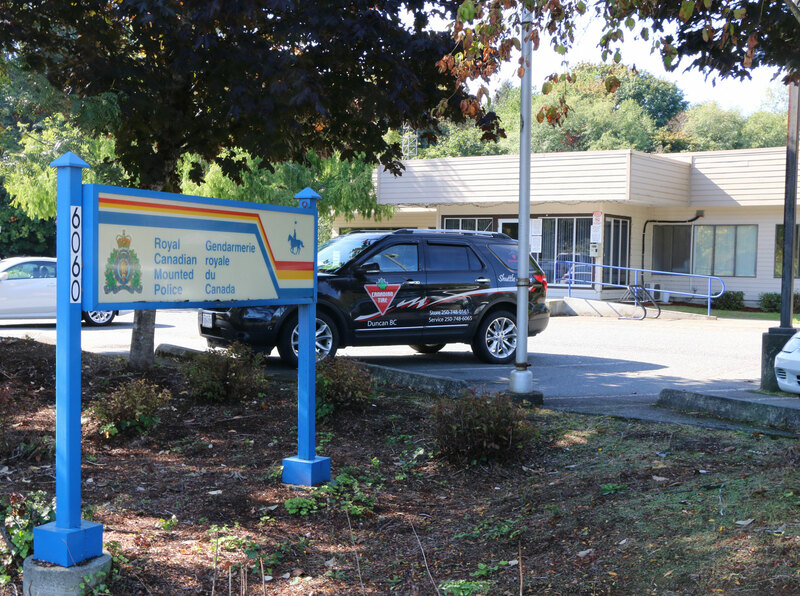 The RCMP have issued a press release suggesting that the City of Duncan needs a new Bylaw modeled on the Controlled Substance Property Bylaws currently in force in other BC municipalities and districts. As one example, the Municipality of North Cowichan has a Controlled Substance Property Bylaw. As you can see, many of these Bylaws were enacted in the period 2005-2007, when the problems were typically meth labs and marijuana grow ops. Many of these these Bylaws have been updated, or are in the process of being updated, to include fetanyl and opioids. Paige McWilliam has told me that the City of Duncan has instructed its lawyers to research Controlled Substance Property Bylaws. But the City of Duncan does not currently have a Controlled Substances Property Bylaw. If elected to City of Duncan Council, I will make it a priority of enact an effective City of Duncan Controlled Substance Property Bylaw as quickly as possible. Note: Some sources have suggested that WorkSafeBC regulations cover these situations. They don’t! I contacted WorkSafeBC about its procedure for designating a property as a Hazardous waste site and received the following response from Terence Little, the Director, of Corporate Communications. WorkSafeBC does not designate sites as HAZMAT sites. WorkSafeBC’s mandate is to enforce the Workers Compensation Act and the Occupational Health and Safety Regulation (OHSR). Within those provisions are requirements for employers to ensure the health and safety of their workers by assessing the risks at worksites and employing appropriate measures to ensure workers are protected from those risks. The OHSR requires employers to have a documented Exposure Control Plan, which includes procedures for assessing hazards, including the presence of hazardous substances, at a worksite. This may include requirements for testing materials or environments for hazardous substances. When worksites are contaminated with a hazardous material of substance, the employer is required to ensure that workers have the appropriate training, equipment, and procedures to protect them from that risk. In terms of limiting access to a work location, this may be done by WorkSafeBC, police agencies, or other regulators, based on their authority and mandate. In situations where work processes present a risk of serious injury, illness, or death to workers, The Workers Compensation Act gives WorkSafeBC the authority to stop work and prohibit worker access to that work location. WorkSafeBC may do this if testing has revealed the presence of hazardous substance but the employer has not taken the necessary steps to protect workers from that hazard. WorkSafeBC would cordon off the location and place a placard at the location with the details and time limit of the order. Limiting worker access to a worksite in this manner is not equivalent to declaring the location a HAZMAT site. I hope that answers your questions. Please let me know if I can assist further.